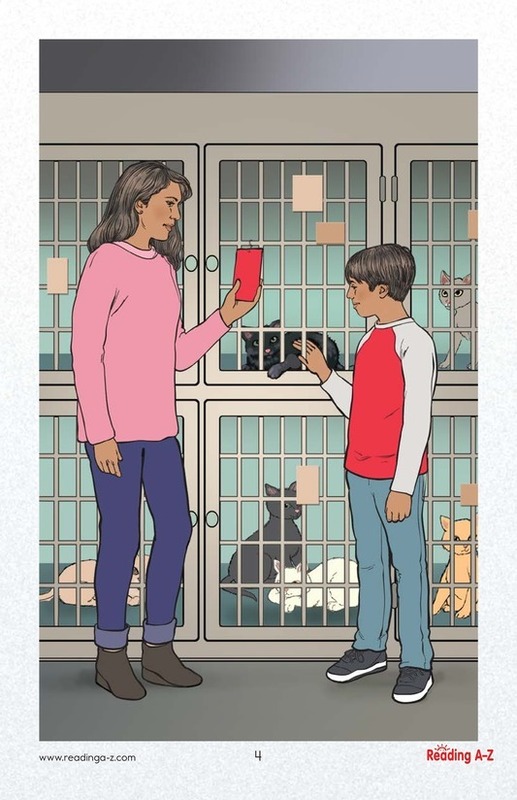 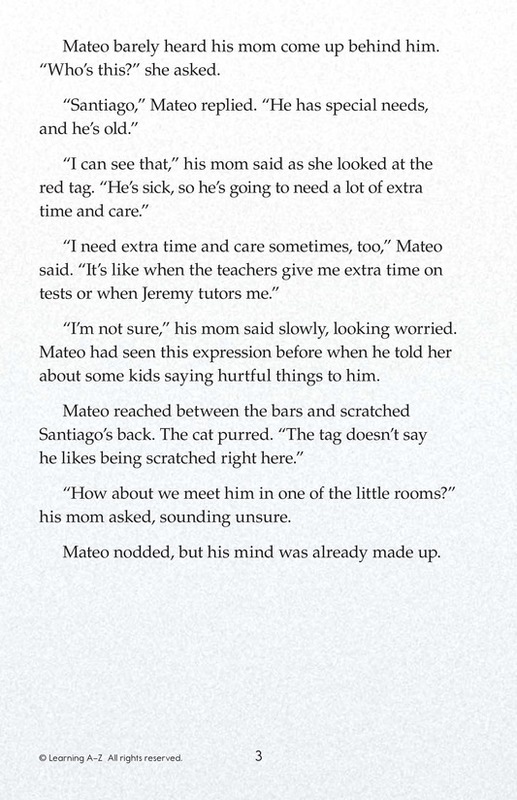 Mateo's mother has finally agreed to let him adopt a kitten from the local animal shelter. 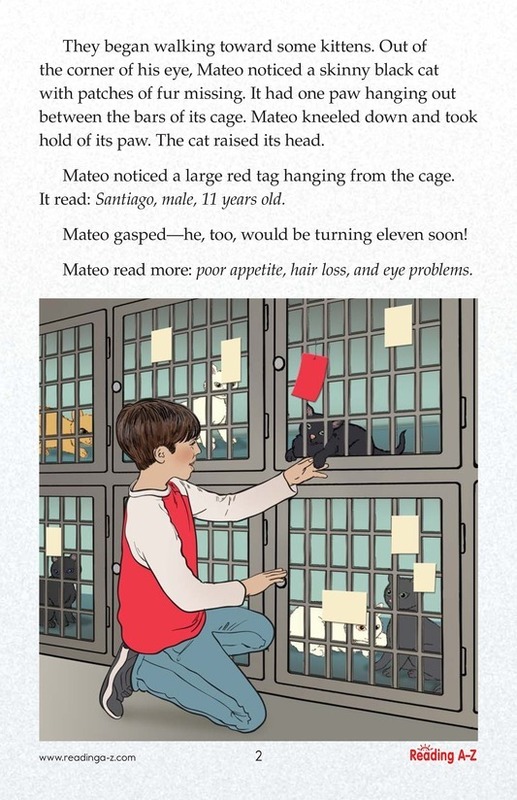 However, at the shelter, Mateo is drawn to Santiago, a senior cat with special needs. 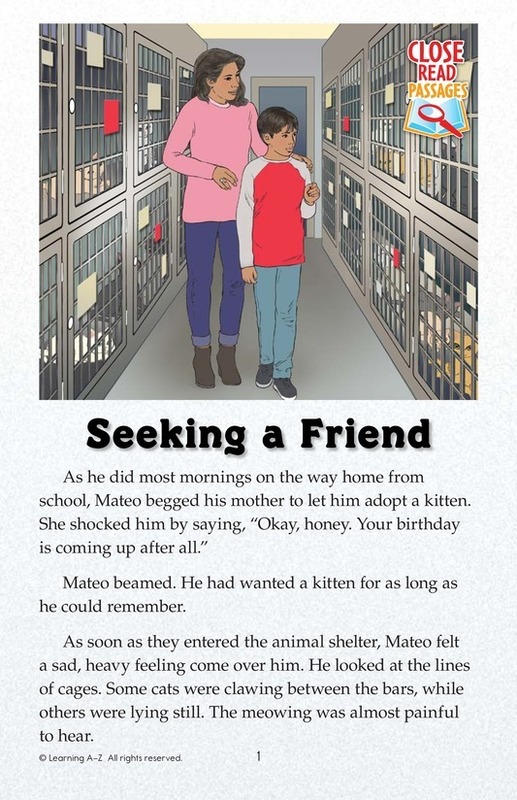 Mateo's connection with Santiago is so strong that he is determined to adopt him.